1. Skiing and trekking at Mauna Kea -- Mauna Kea, which means "white mountain" in Hawaiian, is truly one of Hawaii's natural gems. From November to March, Hawaii experiences winter season and this is the time when Mauna Kea's peaks turn snowy white, creating a beautiful venue for skiing and trekking. Make sure to prepare yourself physically if your planning to trek the white mountain's snowy slopes, as the air in this area becomes too thin. When you've reached the top, "live" amongst the gods and enjoy a breathtaking view of the sky. 2. Hiking at the Hawaii Volcanoes National Park -- Discover the volcanic origins of Hawaii and witness the spectacular flow of lava coming from Kialauea, a shield volcano that's been active since the 1980s. Another volcano found in this national park is Mauna Loa. Just like all of the natural treasures in the islands, the locals highly revere this volcano because they believe that this is Pele's home, the mythical goddess of fire and dance. According to legends, Pele sought the protection offered by the tall Mauna Loa as she tried to escape from her older sister's revenge, who is a water goddess. Hiking at the Volcanoes National Park is also a chance for you to see Loihi, another volcano that continues to release lava. Because of this continuous volcanic activity, Loihi may soon become a major island if it continues to spill lava into the Hawaiian shores for 250,000 years or more. 3. Horseback riding and trekking at Waipio Valley -- Crystal clear waterfalls, thick jungles, and awesome cliffs dot Waipio Valley, a place that was once the home of a great Hawaiian king. To make the most out of your trip here, hire a guide who can tell you stories and legends about this mythical valley. Horseback riding and trekking are both exciting ways to further explore what this valley has to offer. You can also join wagon tours or hire a jeep when exploring Waipio Valley. 1. Swimming at the beaches of Waikiki -- If you've never been to Waikiki, then you've never really been to Hawaii. An iconic place that was once the playground of Hawaiian royalty, Waikiki now serves as a top vacation destination for those who want to enjoy some of the best tropical beaches in Hawaii. 2. Hiking at the Diamond's Head -- From Waikiki, hike to the summit of Diamond's Head and enjoy the spectacular views overlooking Waikiki and the Pacific Ocean. 3. Diving and snorkeling at Hanauma Bay Nature Preserve -- This nature preserve is best known for its circular shoreline, indicating the area's volcanic origins. Teeming with unique aquatic wildlife, the underwater world of Hanauma Bay Nature Preserve attracts plenty of snorkelers and divers. 1. Enjoying the sunrise at the Haleakala Crater -- Begin your day by greeting the sun at the Haleakala Crater, a tourist spot that attracts plenty of travelers because of its awe-inspiring view of the sunrise. Feel the power of nature as you trek the slopes of Haleakala during the wee hours of the morning and reward yourself with a glimpse of the golden sun touching the edge of the crater. After enjoying the sunrise, see what the Haleakala National Park has to offer to plant lovers through its indigenous species of flora and fauna. 2. Scuba diving and snorkeling at Black Rock -- Take a glimpse of the colorful underwater world through the waters of Black Rock. Just in front of the Sheraton Maui resort, this diving and snorkeling spot is perfect for beginners. For a more challenging adventure, swim past Kekaa Point. If you're lucky, you may be able to see in this area larger marine life such as the majestic eagle rays. 1. Sightseeing at the Halawa Valley -- Halawa Valley is home to numerous species of plants and animals that are only found in this state. Go deeper into its forests and see what Molokai has to offer to nature lovers and explorers. After an afternoon of sighseeing, head to the Mooula Falls and splash around its cool waters. 2. Mule riding at the Kalaupapa National Park -- For a more intimate encounter with nature, ride a mule along the Kalaupapa National Park. See with your own eyes some of Hawaii's endemic animals -- the Hawaiian monk seals -- as they frolic in the waters of this perfectly isolated island. 1. Camping at the Napali Coast -- Known for its lush landscape consisting of mossy cliffs overlooking the Pacific Ocean, Napali Coast is a haven for adventure-seekers. Make sure to bring enough water and rain gear as the trails in this area can get tricky especially during the rainy months. At the end of the hike, marvel at the beauty of Kalalau Beach and spend a peaceful afternoon at its sandy shores. 2. Kayaking at the rivers of Kauai -- Because the rivers in this island are the only navigable rivers in the state of Hawaii, kayaking has become a popular option for many tourists in this area. Even if this is just your first time to kayak, you don't have to worry because the rivers here are quite calm and easy to navigate. As you navigate down the rivers, enjoy scenic waterfalls, streams, and rock formations. One attraction you shouldn't miss is the Fern Grotto located on the Wialua River. Fern Grotto is known for its natural rock awning sheltered by ferns, making it a favorite venue for weddings and ceremonies. 3. Sightseeing at the Waimea Canyon -- Comparable to the beauty of the Grand Canyon in the US mainland, the Waimea Canyon is a proof of Hawaii's naturally diverse environment. This unique formation consists of natural valleys and gorges that stretch for miles and miles. To make your sightseeing trip more memorable, join tours that'll stop at different lookout points. 1. Swimming at Hulopoe Bay -- Swim with spinner dolphins as they frolic across the cerulean waters of Hulopoe Bay. Afterwards, enjoy a pinic lunch at the sandy shores and lounge around. 2. Four-wheel driving across Lanai -- A four-wheel drive is a must if you plan to explore the natural wonders of Lanai. Don't forget to stop by the rock formations found at the tip of the Polihua road, an attraction that makes this place a true paradise. If it's your first time to go on a nature trip across Lanai, make sure to bring along a guide who knows the ins and outs of this area. There are definitely many other places you can visit in Hawaii if you want to unleash the natural explorer in you. 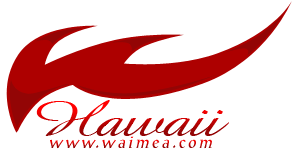 Just make sure to have an itinerary so you won't get overwhelmed with all of the tourist spots, attractions, and natural beauty Hawaii is well-known for.